We were blessed by great weather - calm, cool water and clear, cool weather, with a vis of 3-4m. We managed two dives; one on the west fringe reef and the other on the Cigar reef. As reclamation activities have now bridged the channel between Bukom and Busing, we had to go around Busing island, which took just 10 mins longer. It was quite amazing to see how much has been filled in between the islands, as it reflective of the speed at which development activities in Singapore occur. With industries that are efficient and swift, so must organisations like ourselves, be. Despite the activities, it is fortunate the water conditions have not visibly deteriorated. Though assessments would probably have to be carried out to accurately determine if this is truly the case. For the first time in all my dives at Hantu, I came across a tiny little baby Icon seastar! just how baby and tiny was it??? Well here it is sitting right in the middle of my palm! It was placed right back where it was found; not to worry. Not as baby, but still on the small scale, was a Tomato clown anemonefish in its absolutely gorgeous anemone! We also came across another anemone shrimp, sometimes called a Bubble shrimp because it is plump and round like a bubble. There were two in this anemone, one about twice the size of the other. Here's the larger one, and the only one I managed a decent picture of because these guys are just 3cm in length! Good vis lets you appreciate the large and beautiful coral colonies we have in tiny little Hantu... imagine how old these corals must be! A tube worm makes a home in a Pavona coral colony. The Nature Society of Singapore will hold a mhttp://www.blogger.com/img/gl.link.gifeeting with SEC Executive Director, Howard Shaw, and Aquos Managing Director, Sydney Chew, at their premises on Thursday April 20 to discuss the latest plans and progress of Project NOAH. Watch this blog for updates of the dialogue session. ADEX; under- and above-water experiences of our reefs and shores. wonders of our very own marine life. more about our marine wildlife, play their fascinating game and more. talk by Miss Zeehan Jaafar on clownfishes & their host anemones. look out for photos of marine biologists in the 1980s. AQUOS Pte Ltd: Who are they? PADI (MSDT) & CMAS 3-star Instructor"
Not current, not authorized to teach"
Project NOAH: did the press really get the issues wrong? The Press Release for Project NOAH is now available for viewing in PDF. Can Reefs Exist In Murky Waters? 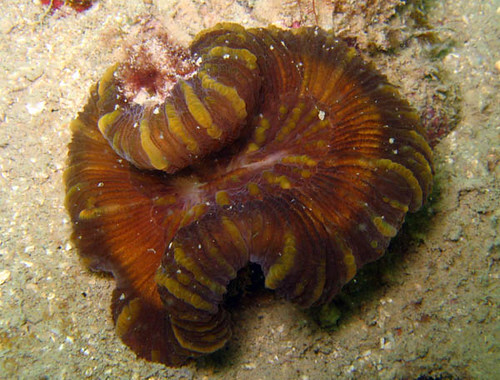 "Coral reefs can also flourish in naturally turbid waters to at least 10 m depth (Yentsch et al. 2002), supporting unique and diverse communities that are not found in clearer offshore waters. Reefs in coastal and inshore waters experience naturally more variable conditions, including higher levels of dissolved and particulate nutrients and siltation and hence reduced water clarity, and more fluctuating salinity, than reefs in oceanic waters, where water clarity is high, siltation is low, and nutrient levels are generally low except during periods of upwelling (Furnas 2003). Coral reef communities naturally change along gradients from terrestrially influenced to oceanic conditions. These natural gradients contribute to the diversity of types of coral reefs found. Large volumes of freshwater and sediment discharges kill corals and prevent coral reef growth, even when systems are unaltered by humans; hence no coral reefs are found tens to hundreds of kilometres downstream of large rivers such as the Amazon (Brazil) or Fly River (Papua New Guinea). Smaller streams can alter reef communities at the scale of hundreds of meters to a few kilometres downstream of their mouths (West and Van Woesik 2001). Reefs vary greatly in their susceptibility to damage by poor water quality. Existing field observations from around the world indicate that reefs in poorly flushed semi-enclosed bays or lagoons, and reefs surrounded by a shallow sea floor, are at greatest risk of degradation, probably because materials are retained for prolonged periods of time, extending the period of exposure to more 'chronic' conditions. In contrast, reefs along well-flushed coastlines surrounded by deep water, where terrestrial pollutants are washed out within days to weeks, appear more resistant and resilient against degradation by exposure to high sediment and nutrient loads." International Society for Reef Studies, ISRS (2004) The effects of terrestrial runoff of sediments, nutrients and other pollutants on coral reefs. Briefing Paper 3, International Society for Reef Studies, pp: 18. Reefs growing in murky waters can be special? "Coral reefs in the Golfo de Guacanayabo in southeastern Cuba are unique in many respects--shape, structure, builders, biodiversity, endemic forms and origin. Observed from the air, they exhibit complex reticulated contours. These 20- to 25-metre-high reefs have grown vertically in murky, stagnant waters in a muddy bottom bay. Here, the usual Caribbean reef-building Scleractinia (Acropora palmata, Montastraea annularis complex, M. cavernosa, Diploria spp.) are not present. Instead, there exist abundant small branchy colonies of non-reef-building Oculina spp., Cladocora arbuscula and Porites porites f. divaricata; very delicate A. cervicornis; the strictly endemic Eusmilia fastigiata f. guacanayabensis; and a rare form of the Hydrozoa Millepora alcicornis f. delicatula. These small bushy stony corals, together with numerous sponges, combine to form unusual reefs such that some reef parts appear almost 'gelatinous'. It has not been shown that the Guacanayabo reefs developed on top of older positive structures. Instead, their origin may be understood as arising from delicate branchy coral colonies that have grown on soft bottom together with sponges, gradually compensating for the submergence of the sea floor. A survey performed west of the Golfo de Guacanayabo found incidences of coral branches with sponges and other invertebrates providing a base for buildups on soft bottom, showing how this unusual construction can develop in various locales. By studying the Guacanayabo reefs, we can learn how to work more effectively toward their sustainability and the protection of their unique biodiversity. The preservation of these unusual reefs requires public education and the putting into place of special restrictions. The positive experience of the adjacent park, a protected part of the Archipelago Jardines de la Reina reefs, suggests extending that park eastward to include the Guacanayabo reefs. The Guacanayabo reefs are not only intriguing in terms of understanding a rare type of 'marginal' reef, but also provide a model for understanding fossil reefs in analogous conditions." Wildfilms was recently at Hantu to document the intertidal life of its lagoon. Amongst this Yellow-lipped seasnake, they saw heaps of other facinating animals and marine life, and even got to speak to a family that was camping on the island. Visit their blog to see what can be experienced at Hantu without having to dive! Today, we carried out the last Line Intercept Transect survey of the western fringing reef at Pulau Hantu before the sand dumping starts at the Pulau Ular reclamation site. Managed to take a few shots along the deep (around 6m) transect line! The phyllids were everywhere today! Spot the tiny juvenile blue dragon? Data from previous Hantu surveys can be found at the Coral Reefs of Singapore website. Showing that tasks can be carried out without a bump, Reef Friends volunteer Ming Sheng sets up a bouy on the reef crest, along which 2 sets of 100m-long transects will be laid out. And look what came to say hello! An oriental sweetlips cruises around the reef crest, inspecting our crew of 8 divers. Reef Friends volunteer Wai carries out her LIT along the second transect. Look! A school of razorfish swimming quietly across the reef. A massive braincoral in the foreground, and the line transect running along in the back. Check out how good the vis is! Another massive colony. I think this is Montipora. Jani patiently introduced me to coral genera today. It's facinating and fun but also quite challenging and confusing! you don't realise how many different corals there are until you try to name them! That's Merulina in the left foreground and a HUGE colony of bubble coral in the back. Where else have you seen such a massive colony of bubble coral? Imagine all the animals that must be hiding in there! And look what swarmed over the Goniopora as I was shooting pictures... it's the Razorfish again! Alright, gotta have a little bit of macro in each dive - here's a flatworm Pesudoceros, as in "fake horn". A little curious as to how such a name came about. Will make a closer inspection the next time I encounter one! I know this coral! It's easy, Jani taught me; Pavona. And here is Jani, hard at work on the LIT. And look at this gorgeous colony. I learnt today that this is called Pachyseris, like Pachyderm... maybe that's because the lines that run along the coral are reminiscent of the wrinkles on an elephant's hide??? Lots of huge colonies photographed today. Here's another kind of boulder coral but shot from the top. I have to relish the good vis and take pictures like these so you can see how the reef can be appreciated from several prespectives. Few places in the world you could be diving next to a reef that's getting filled up. In Singapore we're pressured to coexist with the challenges. Here's a barge filling in the area that will soon bridge Busing with Ular and Bukom. The depth has already been greatly reduced. Today we also saw a derrick piling in what could've been steel sheets. Reclamation activites in Singapore occur every so swiftly. Apparently this method of filling is more efficient than dumping, with less runoff and a reduced silt plume. We weren't the only ones celebrating Good Friday at Hantu - several boaters were also sighted in the lagoon, and 5 families chose to spend the long weekend with their kids on Hantu island! How fantastic is that?! I spoke to one of the mothers, and she commented that trips like these are necessary because "the kids need to have memories". The later part of the day saw some stormy weather, but we hope it lasts well through the weekend and that they see tons of wildlife! "Let's hear them out": (standing, from left) Stephen Beng, Howard Shaw, Sydney Chew, and Dr. Ho Hua Chew. A week after the Project NOAH team held its press conference at ONEdegree15, for the first time, grassroots members meet the stakeholders to discuss the project which stands for "Nurturing Our Aquatic Heritage". Thanks to NSS committee members Vilma D'Rozario and Dr. Ho Hua Chew for facilitating this meeting. Members of NOAH present at the session were Stephen Beng (SUF under-secretary), Howard Shaw (SEC), and Sydney Chew (Aquos Pte Ltd). NOAH members absent included William Ong (SUF consultative scientific officer), and Spencer Lewis (Aquos Pte Ltd). The Blue Water Volunteers, WildSingapore, HantuBlog, as well as several members of NSS attended the nearly 3 hour-long dialogue that saw several concerns being raised, and questions being posed, but having all gone unanswered. The HantuBlog met with NOAH members nearly half a year prior to hear their plans for the project. However, due to an embargo, information could not be disseminated on the Blog. I also attended the press conference, however as a member of the press. The HantuBlog and BWV were not invited nor informed of the conference (press release to be made available online soon!). Having been in dialogue with NOAH members on significant occasions, attending their press conference, and now this session at NSS has raised several inconsistencies with regards to plans for the project, that are worth noting. I have decided to list them below. One-on-one meetings: Project NOAH is introduced as a collective effort of the SUF, SEC, and Aquos Pte Ltd.
Press conference: Project NOAH is introduced as a effort spearheaded by SUF, and supported by SEC. Aquos Pte Ltd is not mentioned. NSS chat session: SUF says they have no involvement (read: no control or responsibility) in the project but have been approached to manage and lend voluntary capacity. SEC is introduced as a supporter of the project. Aquos Pte Ltd is not mentioned. Consequential question: If SUF is no longer spearheading the project, first-of-all an errata should be released to the press. If neither SUF nor SEC are responsible, it is crucial that Aquos be formally introduced as Chew seems the only party to have ownership of the project, and details of his company (unlike organisations like SEC and SUF) are not heard of. Clarifying the owner of the project is important as public feedback and project representation will be difficult if possible. Already the SUF has suggested that concerns regarding the project should be addressed to the appropriate party. But which party is this? When asked by naturalist Joseph Lai who was at the NSS chat, to introduce himself and his company, Chew replied "I am in the construction business". Press conference: Chew describes plans to create a "natural barrier" that will house corals relocated from other sites in Singapore "ear-marked for destruction by land reclamation activities". Lewis tells the media that "Hantu has been chosen for its popularity amongst divers as well as for its familarity" however, he added that "if [the public] has any recommendations, he is open to considering other sites for the project." NSS chat session: Shaw explains "they have no intentions to relocate coral". Shortly after which Chew adds that "after Phase 1, they may consider plans [for a clear-water sanctuary and relocating corals into the lagoon," which are in my opinion, "intentions" nonetheless. One-on-one meetings: Ong describes plans to map Hantu's reefs and inhabitats. A timeline was presented that began February 2006 for a period of 6 months. Objectives for the census were not clear. Press conference: Lewis explains that a census of Hantu's reef is important as this will be a first (note: the NUS marine lab has been conducting census of Hantu's reef since 1986). NSS chat session: Shaw was asked to clearly define the objectives of the census, its methods, and reasons why existing censuses were not applicable. He failed to answer the question, but referred to existing data as "fragmented." Consequential question: This Phase 1 census is going to consume a ballpark budget of SGD100,000, and will require around 400 dives (as stated at the Press Conference). Surely NOAH members must be aware of its objectives and methods? This seems the only concete phase amongst several phases of the project, yet it cannot be defined. If volunteers are to be recruited for this program, is it not essential for them to be aware of their purpose and what their contributions are mounting to? Objectives and methods should also be clear so existing data can be shared (since the data from 1986 is not appropriate) if not sourced for to make the Phase 1 census effective. Skilled parties will also be aware of how they can effectively contribute to the census if a clear objective is described. Methods of the 1986-present census adhere to an international method and standard that allow for trends, baselines, and information to be shared across international platforms. If there is a new, more effective method, should it not be disclosed? One-on-one meetings: Chew explains divers will finally be able to dive in clear waters. Non-divers will also be able to appreciate the reef because now they don't have to dive to see it as clear waters allow them to observe the reef from the surface. Press conference: Chew explains the clear water sanctuary will be for divers and non-divers alike. ONEdegree15 will facilitate transport to the island, making it accessible to everyone. NSS chat session: Chew describes need to bring "drones of people" to Hantu. Consequential question: What plans are underway to make Hantu more accessible and surely, affordable, for "drones of people"? Reefwalks conducted by the BWV are phenomenally popular, and free. The water isn't crystal but non-divers are able to appreciate marine life. Departing from an exclusive marina must be costly, but if there are special plans put aside, let's hear them; it could be an opportunity to work with ONEdegree15 if they are willing to contribute exclusive services to environmental groups. The public would also be eager to learn of how they can now visit Hantu. What is this method? Is "clear-water" truly the factor to amended? We've seen how from season to season, our waters clear up for amazing visibility. They are not impossible to dive. What is it we are fixing here? Does anything need fixing? Will clear-waters be the root factor to attracting drones of people to Hantu? This NSS Conservation Chat saw a massive turnout, and several other questions were raised which this Blog will in time share with you. That there were several concerned parties, organisations, individuals that voiced their concerns, is reflective of the effect of such a project on our community, that they are passionate, and feel they have a place enough in it to try and influence decisions. Our community doesn't have to become involved. It already is. There are movements, projects and plans that exist, gaining critical mass. New individuals come to join these movements, contribute in whichever means they can. 2 years ago, I was just a journalist, unfamiliar with local marine conservation movements. Today, I'm a part of it. There are several ways we can contribute, and it is without doubt that we all have a responsibility. This responsibility requires decisiveness, transparency, an open-mind, passion, committment, and alot of action in all small or mighty ways. At best, it should also be nurturing, focused, and always, sustainable. This Blog exists because you read it. I believe you read it because you are concerned. Please let your voice be heard at this crucial point in Hantu's progress. The NSS chat session concluded that the phases, details, methods, and other plans for Project NOAH should be made transparent and available to the public on a website. We await an update from SEC and/or SUF. Over 3 days in March, the Raffles Museum of Biodiversity carried out salvage operations on Terumbu Bayan reef - the site designated for reclamation that will bridge Bukom and Busing islands, just meters away from Hantu. I was lucky enough to have an opportunity to assist them on one of their trips, stealing a glimpse for the last time, a magnificent reef with corals hundreds of years old, decimated in mere seconds. The above is an image of a cowrie with its batch of eggs. As the entire site is scheduled to be reclaimed in 2 weeks, it is unlikely this brood will live to explore our local reefs. Some believe that fish can escape reefs due for destruction, but it is unlikely that animals such as these cardinal fish will migrate to another reef. The quantity of sedimentation dumped instantaneously is of a phenomenal amount and speed. Further, it is understood that fish go into reefs for protection from uncertain circumstance, increasing the odds that they will be buried alive. Other cool but inconspicuous creatures such as this topshell have algae grown all over its back, making it difficult to spot if you aren't quite looking for it. These gorgeous gastropods have long been exploited for their beautiful shells that are used primarily in button making. Go through your wardrobe, and its not unlikely that you might just have a shirt with topshell buttons. Efforts are underway in countries such as Indonesia, to farm these animals so as to lighten the burden on wild populations. However, a burden as large as land reclamation would require other means to counter. 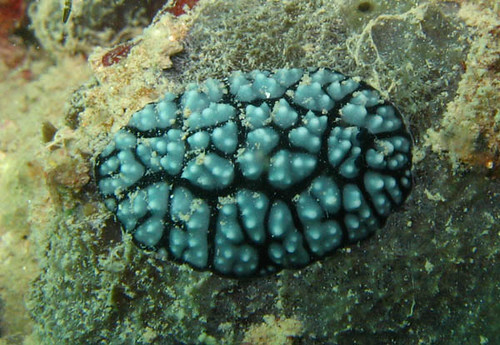 A tiny Oreo-cookie nudibranch, tightly constricted, perches in the crevice of a coral for safety from 3-4 knot currents. Another beautiful gastropod. What remarkable designs they have! A little sea slug races through the currents! Jani also managed to salvage a Tigertail seahorse from the reef flat. If there's one, there's likely to be more! Being the slowest fish in the sea (officially!) seahorses are probably at great risk of perishing due to environmental changes that may be eluded by migration. A tiny whip shrimp still holding on tightly to its gorgogian. One of my favourite animals on any reef, here's a juvenile winged-pipefish, also spotted by the keen eyed Jani! What a beautiful creature this is! We've also spotted winged-pipefish on Hantu's reef. A beautiful sea slug clings on precariously to its stem of a hydriod as it is swept by challenging currents. It may be a small animal, but its got a strong will to survive! Look at the tiny fish with their eyes already formed! Aren't they beautiful! It was so exciting looking at them, but at the same time it was disheartening as it was with knowledge that the brood together with the reef was going to be buried. How did I know they were Flase clown anemonefish? Well, here's mom and dad! Mom is the one that is closer to my camera. There were only 2 fish in this anemone. Sometimes a single anemone can house up to tens of fishes. Mom was fiercely defending her brood and I got away with several bites and attacks! I felt a little sorry for her because it would take more than her charged offenses to save herself and her brood from the challenges that are due. And a beautiful, chocolate-coloured nudibranch! Having had the chance to explore this reef before it disappears was truly a lifetime privilege for me. Being able to take these photographs and being able to share them on this blog means at least that the knowledge of their existence was not lost. That we knew of what existed and therefore, what was lost. We also now know more about what we have and how precious and vulnerable they are, and are reminded of how fast we have to continuously work to keep up with events that change the scape and history of underwater Singapore. Even if it's just a tale for you and me to tell, at least these animals, the reef, and a piece of Singaporean heritage, can live on. Xplore! guide Hui Bing shares pix from Anniversary dive! See pictures from our Anniversary Dive on March 25, through the eyes of Reef Xplore! guide Hui Bing. Check out her album which has dazzling pix of whip shimps, turtles, squid and cuttlefish, to name a few! It's taken awhile, but here they are! Pictures and a log from the anniversary dive over 26 March (pix from 25 March will be uploaded soon!). As some of your know, for the past 2 years, we've been celebrating the anniversary of the Blog by exploring Hantu with as much intensity as we can! With 3 day dives, and a night dive, we give divers and readers of our blog a chance to view the life that exists at this magical reef when the sun's up, and after its gone down. Apart from celebrating the exuberant life that thrives in Hantu, we also celebrate a another year of successful education and increased awareness of our reefs. More importantly however, our anniversary is a reminder that our work remains crucial to expanding the knowledge of marine life in Singapore waters, and the constant threats and battles that have to be overcome to ensure its survival. So please, continue to frequent this blog and tell your friends about it. Join us for a dive, or write us a letter. Let us celebrate Hantu today and in the future! A tiny flabellina contrasts beautifully against a yellow-coloured ascidian. A cautious crinoid seeks refuge under a piece of coral. These bizarre animals are capable of swimming clumsily across the reef in search of suitable feeding spots; they are also sometimes inhabited by the brilliant squat lobster. A small reef cuttlefish puts up an offence when it realises it is no longer inconspicuous. It is able to contract or relax its body to create contours that mimic its environment, or make it seem more intimidating than it really is! But once it realises that we mean it no harm, it relaxes its sensitive muscles and reveals its streamlined body. This Phyllidia sea slug is ever easy to appreciate and thankfully there are several of them in Hantu's reefs! Nudibranchs are seemingly benign creatures but they bring so much colour to the reef! Their size and pretty colours also conceal (or announce!) a vicious diet of poisonous corals such as hydroids. With a name that does it absolutely no justice, flatworms are intriguing animals that plough the reef in search of food. This one may look black, but take a closer look and you'll realise it's actually an irrediscent purple! Sometimes you can also observe them swimming gracefully though the water from one reef to another, they do this by undulating their soft membrane that runs through the length of their body. Another delightful and unusual nudibranch. 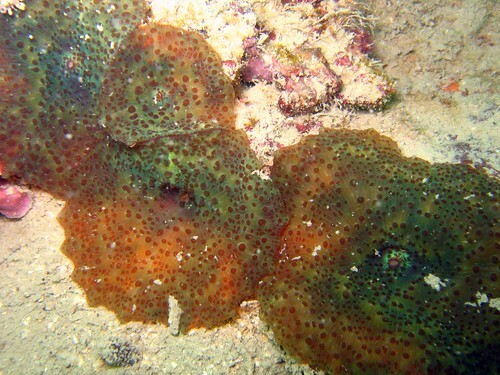 We're sending this to sea slug expert Bill Rudman in Australia for identification! We'll keep you posted! Tigertail seahorses come in a few colours from brown to brown and yellow or mostly yellow such as this one. But one feature will be distinct, and that is the bands that run along the end of its tail. We are fortunate that several of this species of seahorse continue to be spotted on a regular basis at Hantu's reefs. They are a favourite with divers and incidentally, make the logo of the Hantu Blog! Moving at its own pace, some gastropods conceal themselves under silt and nasty hydroids but when inspected you will be captivated by their intricate beauty. This Murex shell may seem slow and harmless but they are a mean predator of other shellfish such as clams. Murex can also be observed in the mangroves and intertidal areas of Hantu! A common inhabitant in our local reefs, file fish may seem less common in other reefs outside of Singapore but they are abundant here. They are shy and prefer to remain hidden amongst seagrass or coral rubble where they can be well camouflaged. Sometimes though, they can make for the best photography subjects as they are tolerant and patient, and I do think, curious to some extent, of our presence! Some people (and I personally) think that it could be because Hantu has a good field of hydroids that we are able to find so many species of nudibranchs. Any one who loves nudis will appreciate diving in Hantu! They are abundant and varied. We shouldn't take this forgranted though, and ensure that we keep these reefs well and healthy so that more people can appreciate this amazing diversity! When I pointed this out to divers, few knew what or if I was even pointing at anything! Beautiful sea cucumbers are literally the vacuum cleaners of the underwater environment. 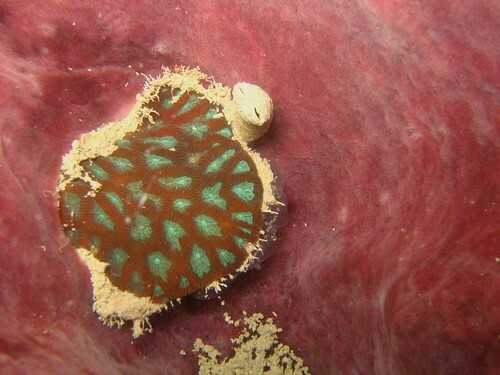 This is one of the less common species you can spot on the Hantu reef. With its posture as such, doesn't it look just like a piece of coral?! Another seahorse! What did I tell you about the sweet population of these graceful creatures in Hantu! This one was holding fast to a rope that was fouled up by hydroids and seagrass which made photographing it quite a challenge! Hopefully we can secure the protection of their home so that more people can witness these enchanting creatures that call Singapore home. After lunch, divers were taken for an intertidal and land walk to discover the otherside of Hantu that seems forgotten by most divers. On our intertidal lagoon at Hantu, divers got a closer and topside view of gobies and their shrimps, pistol shrimps and fiddler crabs, seastars and tiny sponges, swimmer crabs and even an eel! Who says you have to dive Hantu to see its wildlife! And more importantly, Hantu is made of an intricate ecosystem that comprises not just its reef but its land, mangrove and lagoon which is also chock full of life! Some animals are harder we see in the lagoon do not occur on the reef or may be difficult to photograph, so this walk served as a good eye opener to divers who are just used to looking through their masks for marine wildlife! Back to diving, we spotted this False scorpionfish hiding in the crevice of a coral. If you're not sure of how they look like or if you've not seen one before, they can be almost impossible to notice! And look what we found here! The beautiful Icon Seastar perched on the tips of its feet. Guess what it's doing? Laying eggs! What a marvel and privilege it was to view this natural spectacle! Adorable mushroom coral polyps! Young mushroom corals remain fastened to the reef via a stem, but they gain independence and become freeliving corals once they're grown up! Unlike other large corals, mushroom corals are made up of a single polyp and not a colony, making it the largest coral polyp of all coral species! A large pair of flatworms get into the groove during our night dive! I've seen them tons of times but each time they continue to fascinate me again and again! A dazed swimming crab get caught in my flash. These shy crustaceans are capable of swimming exceedingly fast with their pincers spread out! 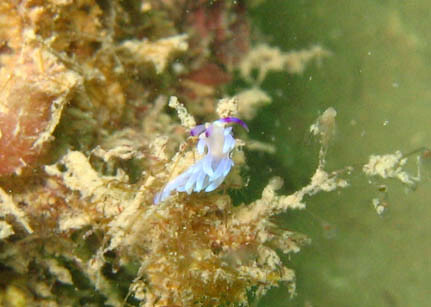 A few species can be found on Hantu's reef. There's still TONS more to be discovered at Hantu's reefs, lagoon and topside! So we're looking forward to more dives this year and continued discoveries! Thanks to those who celebrated our anniversary with us! you've made our dives and all these discoveries possible! Through you, those who didn't get to join us are able to enjoy the natural heritage that continues to exist here in Hantu, a realm that is so uniquely Singapore!